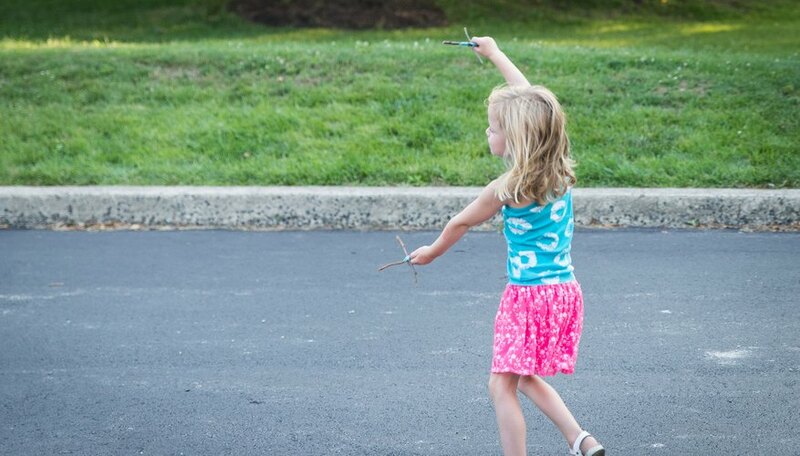 Boys and girls alike share a fascination with things that people use to get around. Even when no transportation toys are available to play with, children tend to zoom around as race cars or rocket-ships. After children put down their airplane wing arms and settle in to the classroom, break out some science transportation activities. Hands-on learning and simple science concepts can be taught using things that go. 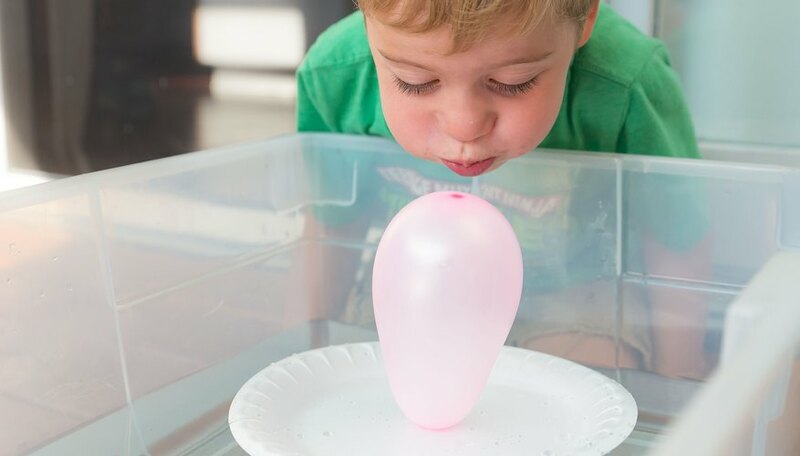 Use balloon boats to teach wind propulsion and buoyancy. Make a 1/4-inch slit in the center of a foam dinner plate. Blow up a balloon, tie it and poke the knot through the slit so the balloon rests securely on top of the plate. Use a classroom water table or fill up a small wading pool with water to float the balloon boats. Children move the boats by blowing on the balloons. Teach magnetic attraction and polarity with a magnet car. 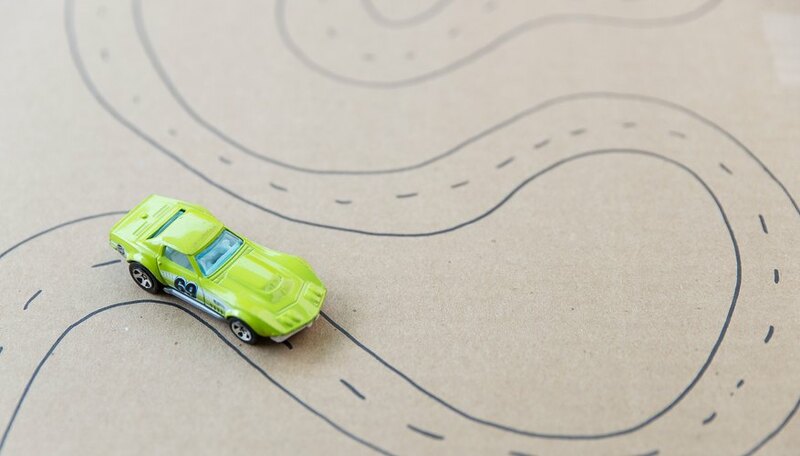 Draw a long, curvy road on a 24-by-24-inch square of cardboard. The road must be wide enough to use for a standard 4-inch die cast toy car. Glue a strong magnet to the bottom of the car directly in the center. 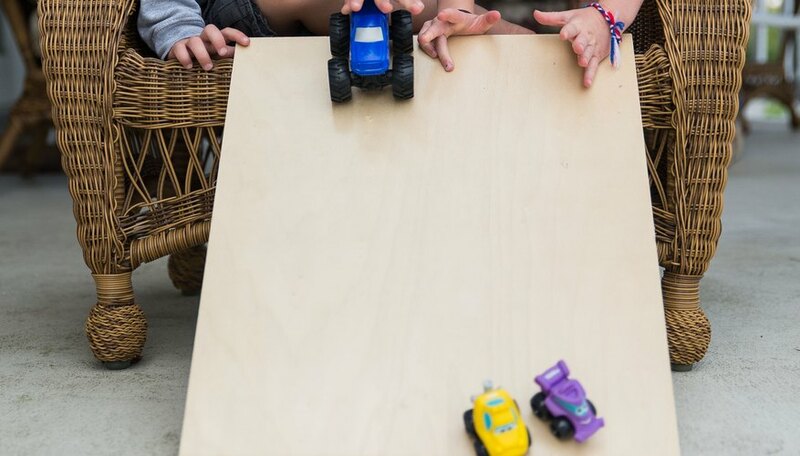 Children place the toy car on the road and hold another magnet underneath to "drive" the car along the road. Use empty 12 oz. water bottles for boats. Secure the lids tightly. Turn the bottles on their sides and cut a 4-inch long and 2-inch wide oval shape from the center. Place the boats in water and watch them float. Provide small items of various weights for the children to place in the bottle boats. 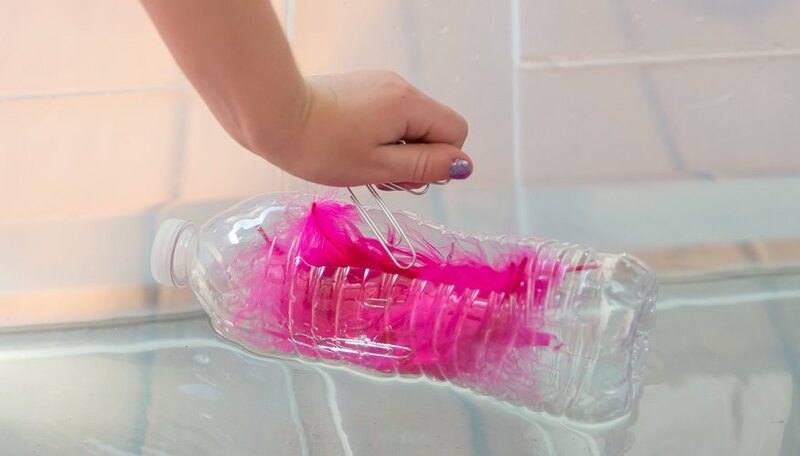 Feathers and paperclips or pebbles and balls of modeling clay can be used for experiments. Challenge youngsters to make predictions as to whether an item will cause the boat to sink or not. Record these predictions and display them with written results. Get the class involved in the study of speed and momentum with a ramp activity. Use a removable bookcase shelf for the ramp or find another available flat sturdy item that is at least 3-feet in length. Ideally, provide ramps that are longer and shorter as well for comparison. Gather toy cars, trucks and trains. Set the ramp at an angle with the top resting on a chair and the bottom on the floor. Send various vehicles down and observe results. Land, Andra. "Science Transportation Activities for Preschoolers." Sciencing, https://sciencing.com/science-transportation-activities-preschoolers-6500961.html. 25 April 2017.